There are thousands of uses for industrial hemp, everything from automotive parts to pharmaceuticals. It has been called a “super food” in much of the world for the strong nutritional value of its seeds and oils, and the plant could have a super effect on the nation’s agricultural economy. Because of this, Kentucky is among several states that have lifted the veil of what has been hemp’s dark reputation. Farmers throughout the state are eager to see where this plant can take them. Hemp is a variety of Cannabis sativa. It’s from the same plant species as marijuana and has been illegal to grow in the United States for the past several decades. However, hemp doesn’t contain the potency of its “cousin” and, in fact, has an estimated 25,000 productive uses. The Kentucky legislature passed Senate Bill 50 during its 2013 session, giving farmers in the state the go-ahead to grow industrial hemp. James Comer, commissioner of the Kentucky Department of Agriculture, helped to spearhead the bill. A ruling in late summer 2013 by the U.S. Department of Justice will honor state laws regarding the production of industrial hemp. Comer believes the plant’s impact could be far-reaching. “To me there is no crop with more growth potential than industrial hemp because you can make so many things from it,” Comer says. He points to the automotive industry in Kentucky as an example. Interior components of cars made in Germany, such as the Mercedes-Benz or the BMW, are made from industrial hemp. What are some uses for industrial hemp? How can the automotive industry utilize hemp products? If the hemp industry continues to grow, what impact can this have on the state of Kentucky?  Kentucky Food and Farm Files is a program of the Kentucky Agriculture and Environment in the Classroom and its supporting members. This article may be reproduced for educational purposes only. www.teachkyag.org.